When talking to anyone about America and it’s past times, not often is left out the is the wonderful and historical existence of hot dogs. Though this is true, hot dogs, their ancestors being know as ‘frankfurters’, originated in Germany a very long time ago. (click here for a full disposition of the history of these wonderful things) Going beyond just America, hot dogs are a very affordable and yummy choice in deciding how to fill your stomach. Because of this, hot dogs have basically became one of the main food groups in a college students diet, along with Ramen Noodles. 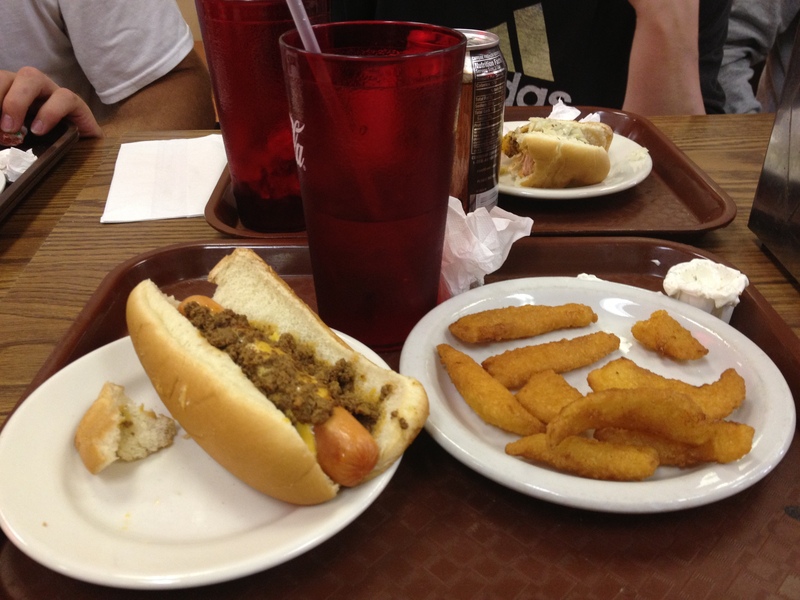 Today, our Eating Siouxland class traveled to not one, but two hot dog staples of Siouxland. 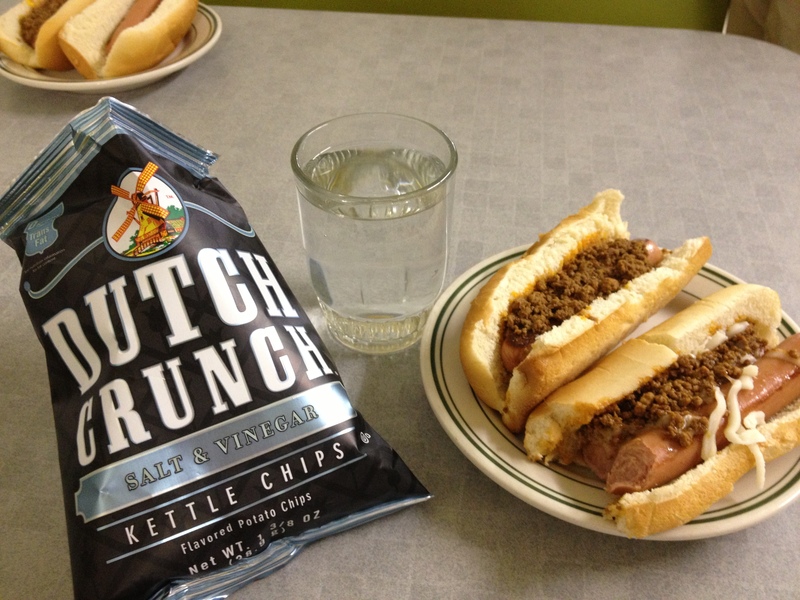 In today’s blog, these two establishments will be reviewed as usually, but then a winner will be chosen and crowned the top dog, pun intended, of hot dog eating establishments in Siouxland. To start I will state what I ordered, complete with pictures of the two menus and dishes, and following this will be the critique, analysis, comparison, and statement of the ‘top dog’ based on the comparison. First up, Milwaukee Wiener. Above is the picture of the menu at the restaurant. 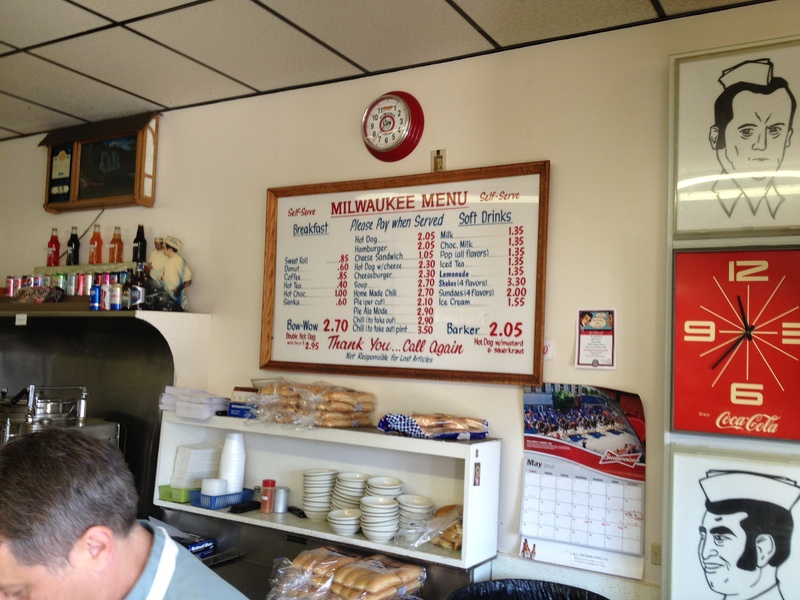 Milwaukee has been around since long before I was, and has seemingly perfected the hot dog making craft. The standard price of a dog is around $2 at Milwaukee, making them reasonably priced as far as going out to eat, but exponentially more expensive then the grocery store, microwavable alternative that is the staple of a college students diet. That being said, no microwave can produce a hot dog quite as tasty as those found at Milwaukee. They are cooked to a juicy perfection, paired with a heat softened bun, and come with a variety of choices concerning toppings, such as chili, onions, sauerkraut, mustard, and other such items. As for sides, cups of chili, the soup of the day, candy, and bags of chips consist of the options. For drinks, cans of Coke products, bottles of root beer, and a small assortment of canned beer such as PBR are available to the customers. The atmosphere is somewhat reminiscent of Happy Days, a TV show set in the fifties. The service was fast and the staff was seemingly not fazed at all by the addition of our twenty person party to their already busy establishment. As pictured below, I ordered a couple of dogs today along with a side. From left to right, we have Old Dutch salt and vinegar chips, a small glass of water , a chili dog, and a chili cheese ‘Bow Wow’, aka two hot dogs in one bun. Coney Island is very similar in many ways to Milwaukee Wiener. 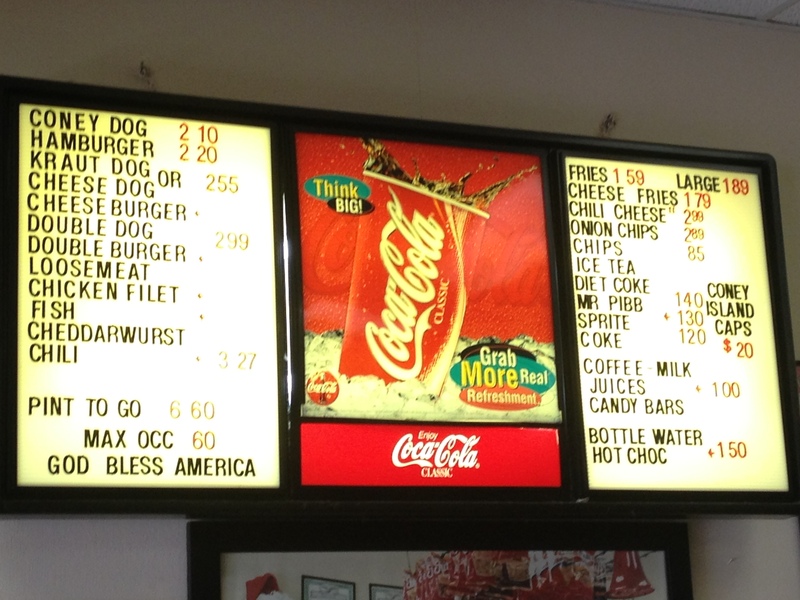 In this case the word ‘Coney’ is actually referring to the specialty hot dog served here, being topped with mustard, onions, and chili. Just as was the case with Milwaukee, these dogs were far above the grocery store standard. Prepared identically as the dogs at Milwaukee, they were juicy and delicious. These dogs had a slightly different taste, they had a slightly sausage-like taste. The toppings for these dogs were identical consisting of mustard, onions, sauerkraut, and chili. As for sides, there were slightly more to choose from. They offered fries and onion chips paired with french onion dipping sauce. The chip selection was smaller, however. Coney Island did not offer beer, did offer fountain Coke products, but did not offer beer. The environment was no more modern then Milwaukee, but was much like a scene from That 70’s Show. The service at Coney was not as prompt as was the case at Milwaukee. The staff was very friendly and accommodating, but even considering there currently empty establishment, was not able to provide as fast of a service. This is no discredit to the staff; a group of twenty is no easy task. Again pictured below is my order; two chili cheese dogs, a side of fried onion chips, and a water. Lastly, environment. Again, the two places were very, very similar. Yet again, I preferred the openness of Milwaukee and its larger size over the narrow and small Coney Island.